or call (850) 487-3259 or toll-free 1-855-850-8196. You can also send e-mail to victimsquestions@fcor.state.fl.us . What type of programs can an inmate be released under? In 2001 The Legislature created the Addiction Recovery Supervision Program and placed it under the Commission’s administration (see Chapters 944, 947, 948, Florida Statues). Yes. Section 286.011, Florida Statutes, provides that all hearings of any board or commission or any state agency in the State of Florida, at which acts are to be taken, are declared to be public hearings, open to the public, and anyone may attend. Inmate’s family and friends, attorneys, members of the media (cameras and recording equipment are allowed), victims, and families of victims or any other interested party are entitled to attend. Visitors may speak in support or opposition of Parole and Conditional Medical Releases cases only. If you would like to speak, you must obtain prior written approval from the Chair, and requests to speak should be sent to the Office of the Commission Clerk 4070 Esplanade Way Tallahassee, FL 32399-2450. Do I have a right to attend a hearing? Yes. A victim has the right to attend all hearings and speak at parole and conditional medical hearings. Families of victims are also entitled to attend and speak at the hearing. Written comments may be submitted for consideration prior to a conditional release hearing. Victims should be aware that anything they say at a public hearing becomes public record. Who else can attend a hearing? Other persons permitted to attend may include the inmate's family and friends, attorneys, members of the media (cameras and recording equipment are allowed), or any other interested party. Can someone accompany me to the hearing? Yes. Anyone may attend parole hearings in the State of Florida. How do I know when a hearing will be held? The Commission will provide written notification of the date, time, and location of the hearing. Any written correspondence submitted by a victim is considered confidential according to Florida's public record laws, s. 945.10, Florida Statutes. All correspondence from victims is stamped confidential and becomes a permanent part of the inmate record. When will I be permitted to speak at a hearing? The Commission publishes an agenda listing all cases scheduled to be heard on that particular day. You will be assisted through the process by the Commission’s Victims' Advocate. When the offender’s case is called, those in support of the inmate speak first. The victim(s), victim's family, or anyone in opposition will speak last. The Commission does not allow rebuttal of any testimony. 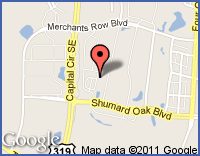 If you would like to appear at a hearing, please contact the Victims’ Services at (850) 487-3259. How will I know if an inmate is being released? Will the offender see me at the hearing? No. The offender WILL NOT be present at the hearing. In Florida, a representative of the Commission interviews the inmate at the institution. The results of the interview and the hearing examiner’s recommendation are forwarded to central office in Tallahassee. At the public hearing, the Commissioners will have already independently reviewed the inmate’s file and the written materials and will then hear from any scheduled speakers. In most cases, the hearing will be held in Tallahassee at the Commission’s headquarters. The Legislature provides some funding that allows the Commission to occasionally hold hearings in other major cities around the state. The decision to be present and/or speak at a parole or conditional medical release hearing is entirely up to the individual. If you choose not to attend, you may submit a written statement, which will be considered by the voting Commissioners. You may also request an appointment with a member of the Commission or you may request only to be notified of the Commission’s decision. What can happen at a hearing? those with a court retained jurisdiction that has not been vacated, may be granted an extended interview date within 7 years. The initial extended interview date was sought by the Commission in 1997 and lengthened to 7 years in 2010 and expanded in 2013 to provide further consideration to victims and their families. Can I attend Clemency hearings? Yes. As a victim, you also have the right to participate in the clemency process. For more information, call 1-855-850-8196. Should you wish to contact a member of the Clemency Board, their names are listed on the Clemency page of this web site. 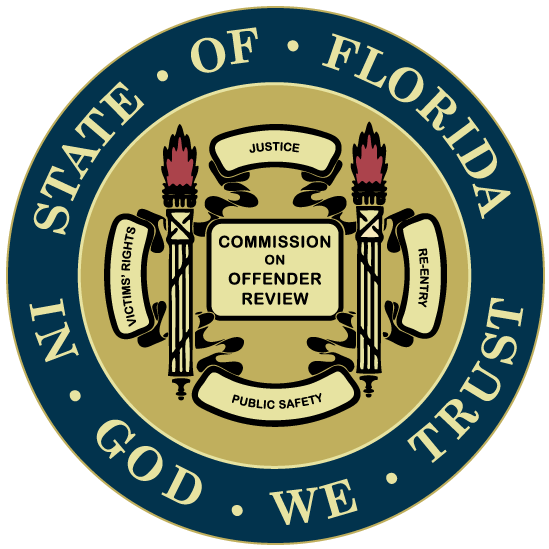 The Florida Network of Victim Witness Services, Inc.
To locate the Commission’s final order on cases heard from July 15, 2015 to present may visit https://www.doah.state.fl.us/FLAIO/default.asp?pb=1&#other, and enter the inmate’s DC# in the “Agency Case No.” field to search for available documents.